Metrics Workspace enables users to monitor and analyze metrics data in an efficient and intuitive user interface. 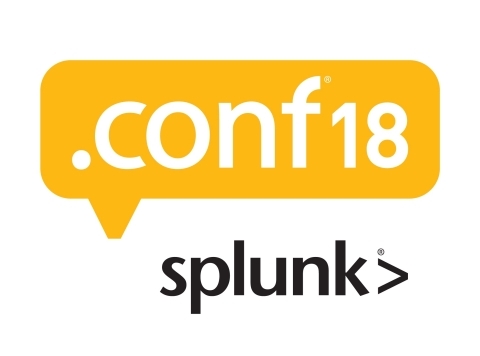 SAN FRANCISCO & ORLANDO, Fla.--(BUSINESS WIRE)--.conf18 – Splunk Inc. (NASDAQ: SPLK), delivering actions and outcomes from the world of data, today revealed the industry and product vision that will enable Splunk customers to drive the next wave of business evolution with data. Through a series of innovations in machine learning, performance and scale, new versions of Splunk Enterprise® and Splunk Cloud™ make it easier to ask questions, take precise actions and drive meaningful business outcomes with access to data no matter where it lives. Splunk Enterprise 7.2 is now generally available. Evaluate, transform and perform analytics on data in motion through Splunk Data Stream Processor. 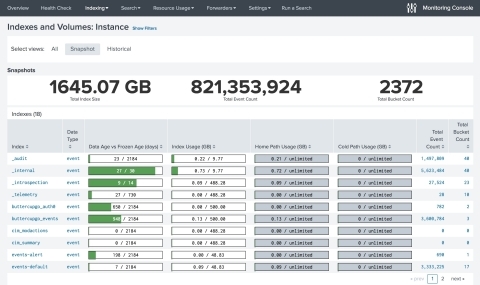 Achieve search at massive-scale, analyzing trillions of events at millisecond speeds with federated search across multiple Splunk deployments through Splunk Data Fabric Search. Interact with Splunk products from a mobile experience via Splunk Mobile and Splunk Cloud Gateway. Use augmented reality (AR) to interact with and take action from data through features such as QR codes, scanning for dashboards, UPC scanning and near-field communications New Data sources. See all business process flows, including the entire customer journey, to enable business users to easily see trends and make smarter decisions with Splunk Business Flow. Ask questions of Splunk using voice and text and receive immediate responses with natural language. Build next-generation data-rich apps and access a full suite of sample code, cloud-native services and more with Splunk Developer Cloud. Guided Data Onboarding, a new graphical user interface helping customers move data into Splunk Cloud or Splunk Enterprise and guiding them through the best onboarding methodology based on their specific architecture. 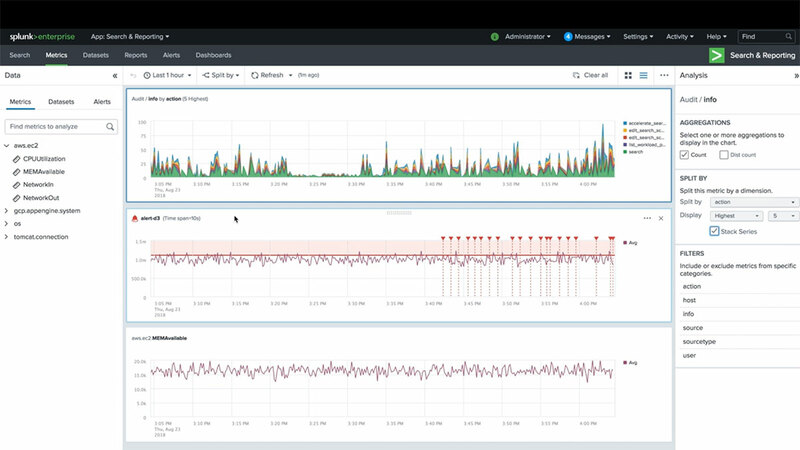 Logs to Metrics helps configure and convert log events to metrics, enabling users to take advantage of breakthrough performance when monitoring and alerting on metrics with the Splunk Platform. Splunk Community for Machine Learning Toolkit (MLTK) Algorithms on GitHub amplifies MLTK customers’ creations and algorithms by allowing them to share, shape and build on GitHub community contributions. Splunk MLTK Container for TensorFlow™ extends the value of Splunk MLTK with additional contributions and functionality provided by TensorFlow, the popular open source library for high-performance numerical computation. Splunk MLTK Connector for Apache Spark™ taps into a vast and scalable machine learning library, MLib. Splunk SmartStore: Helps maximize data management flexibility while maintaining search performance and allowing compute and storage tiers to be independently scaled based on business demands. SmartStore automatically evaluates users’ data access patterns to determine which data needs to be accessible for real-time analytics and which data should reside in lower cost, long-term storage. 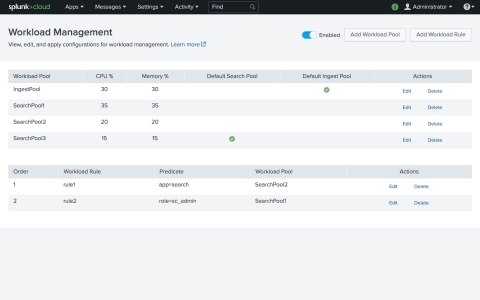 Workload Management: Enables users to prioritize the allocation of compute and memory resources used by the Splunk Platform on searches and alerts to ensure users’ most critical analytics are completed first. 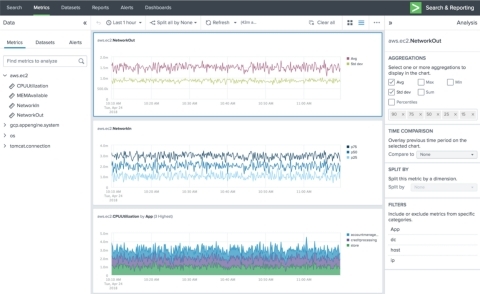 Splunk on Docker: Splunk Support now covers Splunk Enterprise 7.2 deployments in Docker containers, enabling customers to quickly deploy and scale Splunk based on their organizations’ demands. Dynamic Data: Active Archive, the latest release in the Dynamic Data service series, helps Splunk Cloud customers to meet regulatory and compliance requirements by retaining less frequently accessed data and searching on this data with Splunk Cloud. Metrics Workspace enables users to monitor and analyze metrics data in an efficient, intuitive user interface. Health Report allows Splunk administrators to quickly understand the overall health status of their Splunk environments. 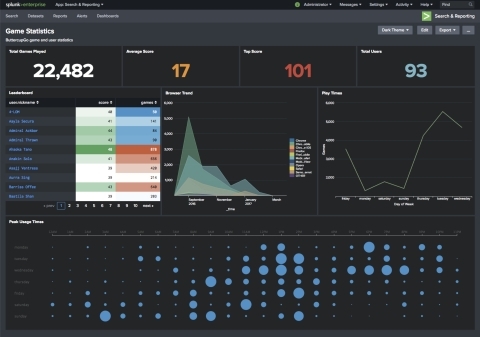 Dark Mode heightens visual contrast within Splunk dashboards; perfect for SOC and NOC environments. Splunk maintains a comprehensive privacy and security program designed to protect customers’ data confidentiality. See Splunk Protects for more information. Splunk Cloud is now certified to meet new attestations of compliance: PCI DSS (Payment Card Industry Data Security Standard), and HIPAA (Health Insurance Portability and Accountability Act) security standards. For more information on Splunk solutions, visit the Splunk website.